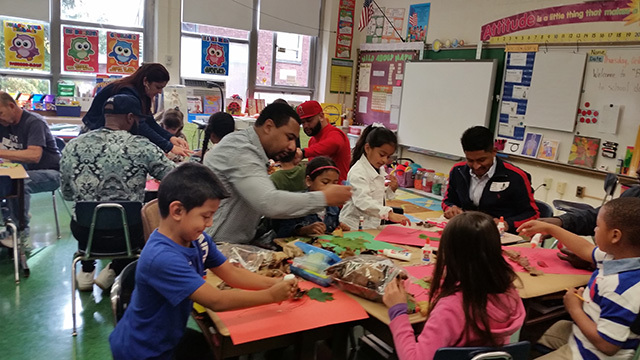 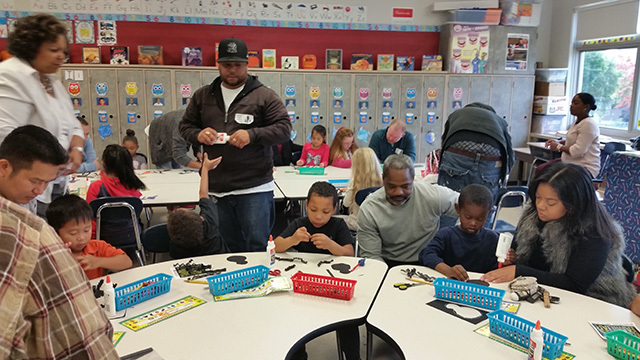 Dads and other guardians attending the Bring Your Dad To School Day event at New Windsor School were treated to a taste of their child's school day. 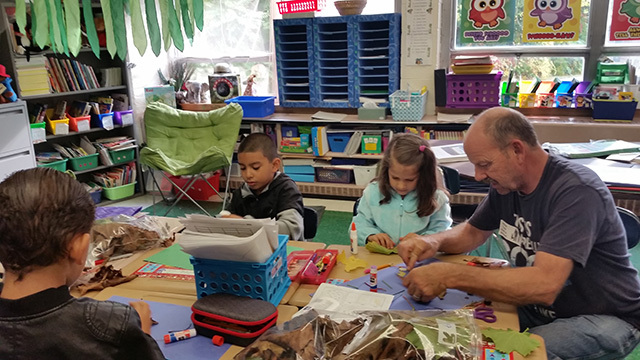 They became active participants in their child's morning activities. 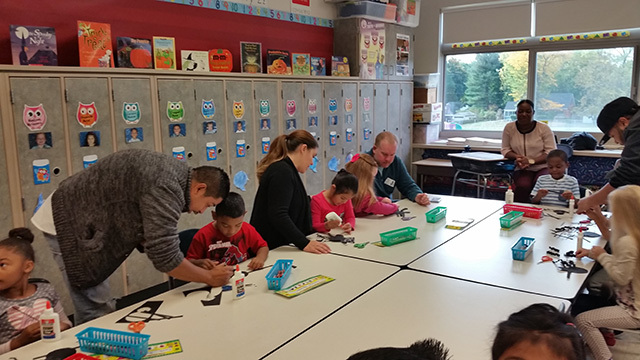 Some painted pumpkins or created leaf pictures, while others learned about the new math strategies their students are using daily. 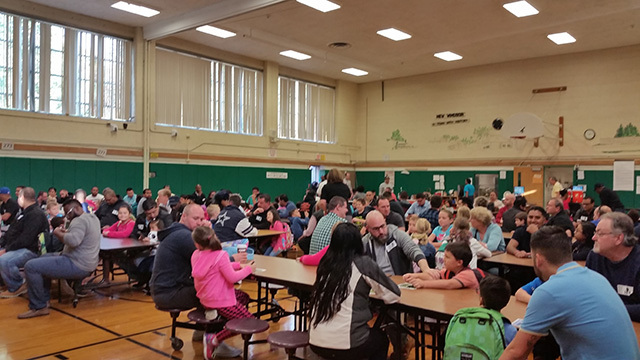 After spending time in the classrooms, dads were treated to a continental breakfast while listening to words of encouragement and inspiration from School Board Member/Liaison, Mr. Howard. 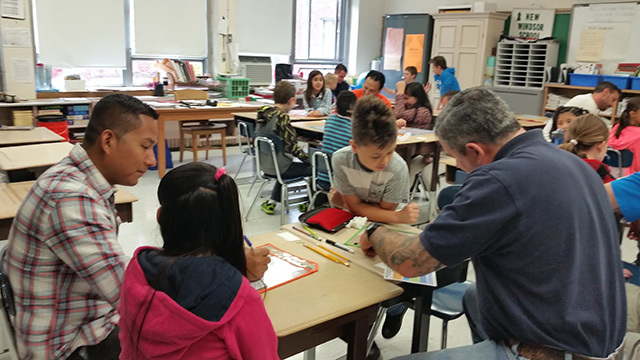 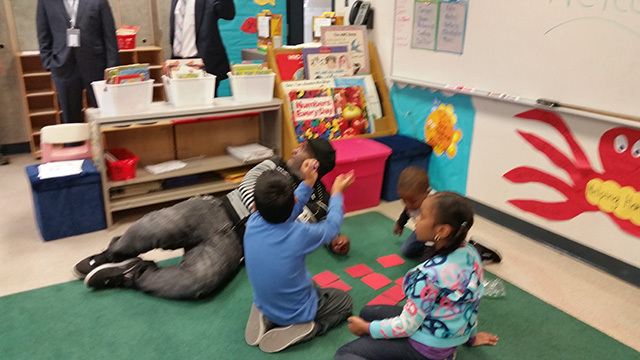 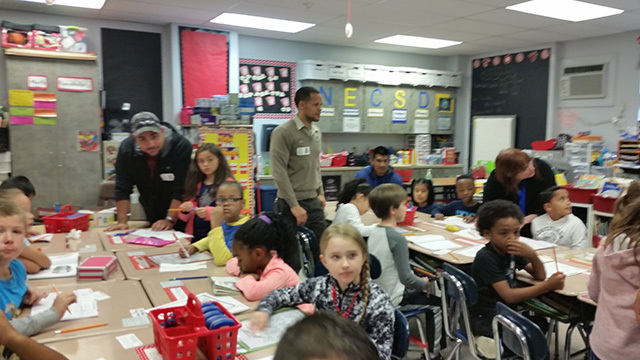 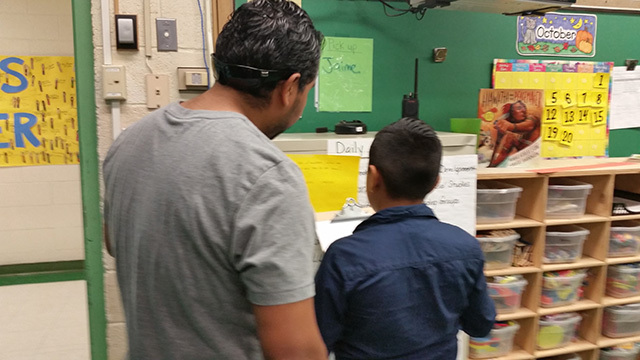 Dads also contributed to our #valuesmatter Campaign by completing sentence strips about what respect means to them. 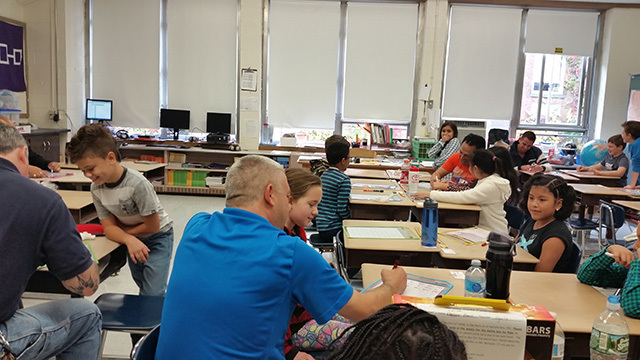 Their responses will be added to the display of student and staff responses for that initiative. 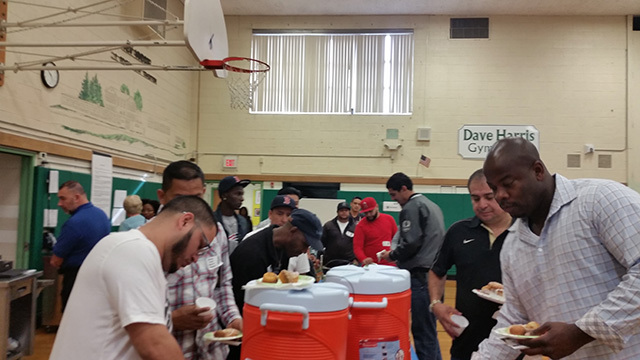 We appreciate the time and commitment of all our our participants and look forward to seeing them at future events.